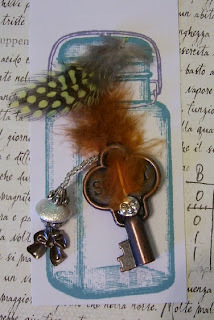 My Blogger friend Tee has a wonderful swap blog called The Altered Paper. 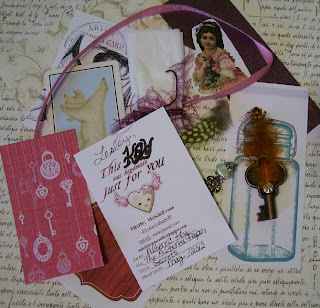 Tee has something always going on and if isn't a swap it is a tutorial or helpful information regarding craft and paper arts. 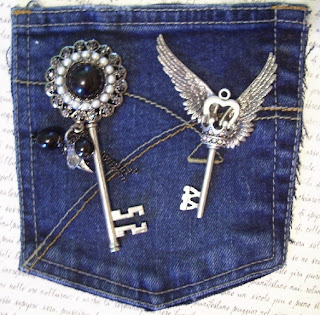 Tee hosted a swap called the Altered Key and we were to make 2 keys then we were assigned 2 partners. So I received one key from Elysia last week and here it is, it is just wonderful and I love the feather attached to it, the top feather she sent me along with some other neat goodies to use. Thank you Elysia. 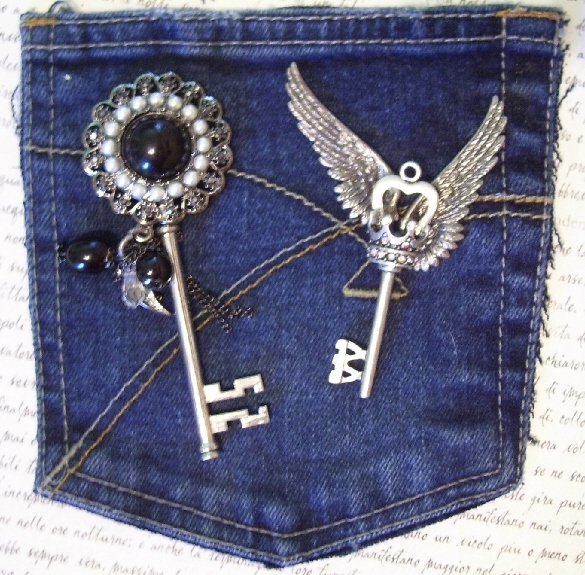 And next are 2 keys from Amy, she made these wonderful keys then sent them to me in this jean pocket. 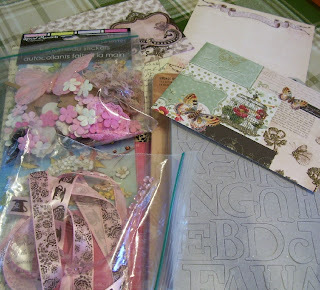 And I was also sent a rather large supply of goodies. I was gaffed!!! Thank you so very much Amy.